The Phenom 100 is a very light jet with next-generation technology, bringing a whole new definition of style, comfort, efficiency, performance, and reliability to the category it now leads. And that’s not just our opinion. Just two years after its certification, the Phenom 100 had more yearly deliveries than any other executive jet in the world. As soon as you walk up the steps and through the massive airstair door, you know that this jet is in a different class. The bright interior features clean modern lines with four high-backed leather seats in an executive club configuration. 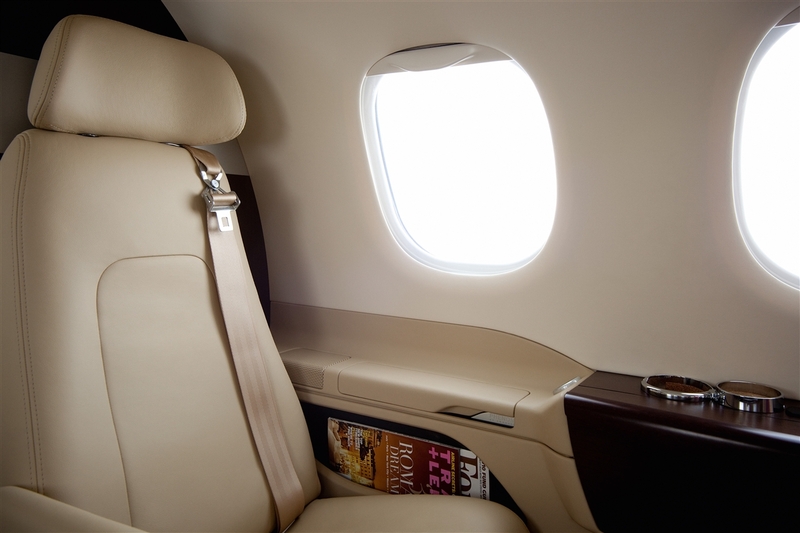 The extra-large windows give all passengers a clear view at all times. 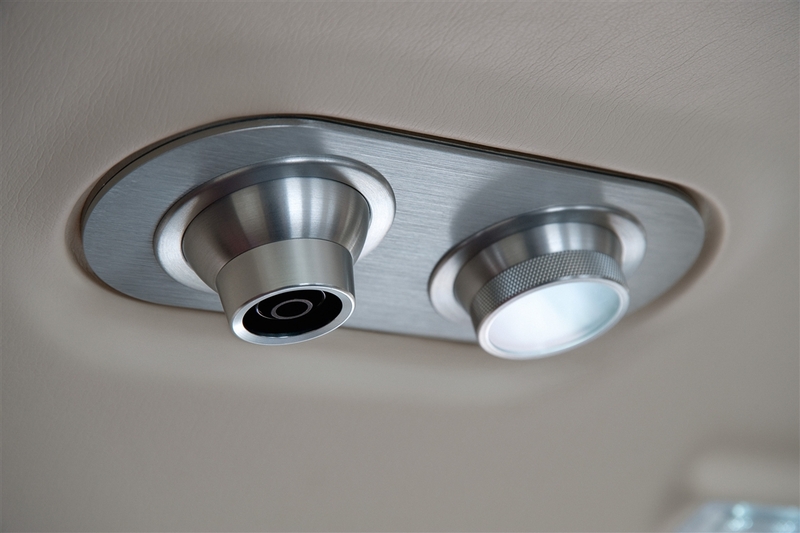 For ultimate comfort, there are even two air conditioning zones so both your guests and your pilots can be comfortable. The Phenom also features a fully private lavatory in the rear of the cabin with a rigid door. The Phenom 100 can operate at up to 720 kilometres per hour at an altitude of 41,000 feet, resulting in smooth, fast flights above commercial traffic and turbulence. Not only is it the fastest jet in its category, but it is also the only jet in its category to be built for high utilization with an economic life of 35,000 cycles (20,000 more than its nearest competitor’s original design). 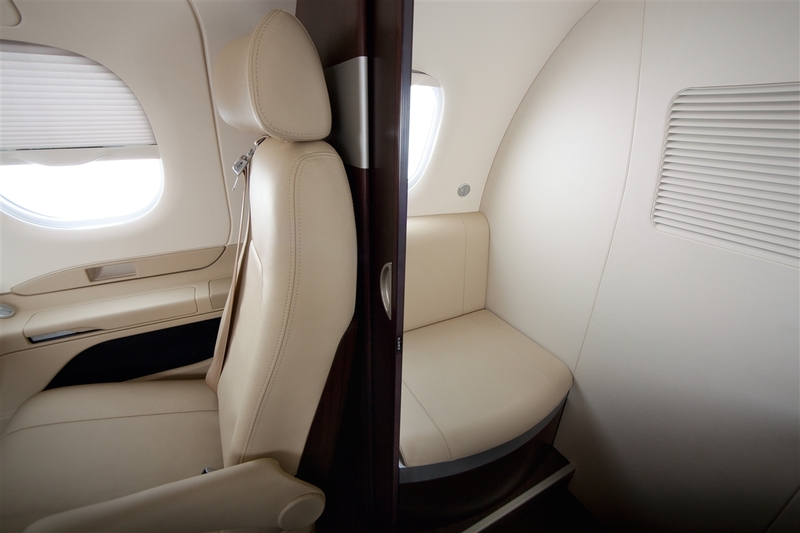 To arrange your private viewing of a Phenom 100, call 888-797-JETS (5387) or email sales@aurorajet.ca. The windows are large enough that you don’t have to duck down to see through. They allow more natural light in, making the small jet bright and open. A true private lavatory with rigid pocket doors. 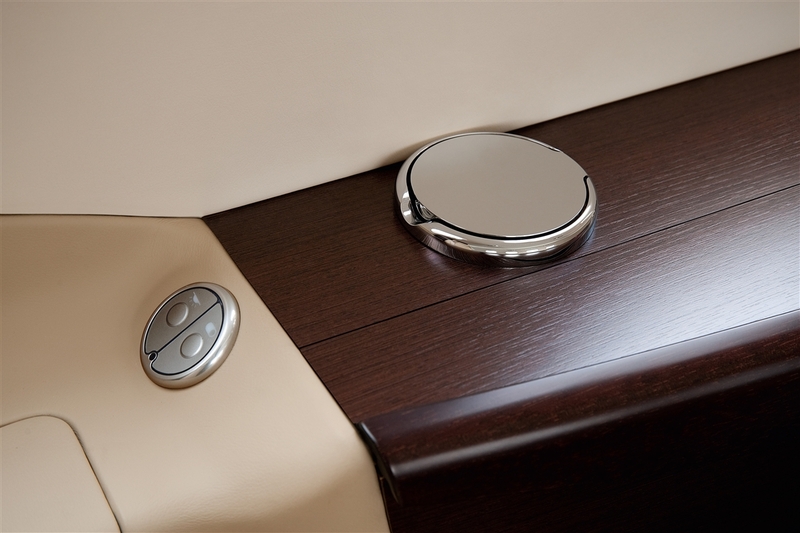 You will appreciate the fine details inside the cabin. 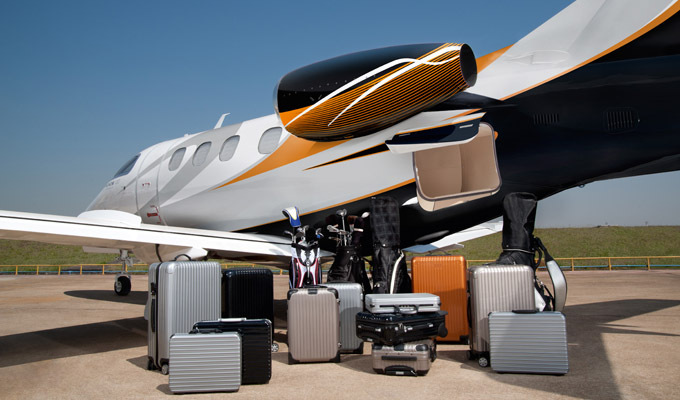 The Phenom 100 offers by far the best in class baggage capacity. 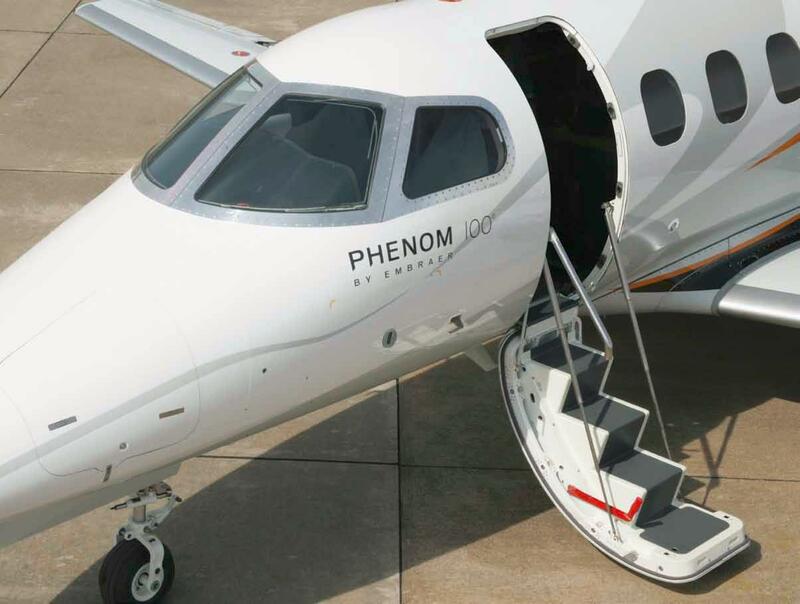 Phenom jets feature full-sized air-stair doors.